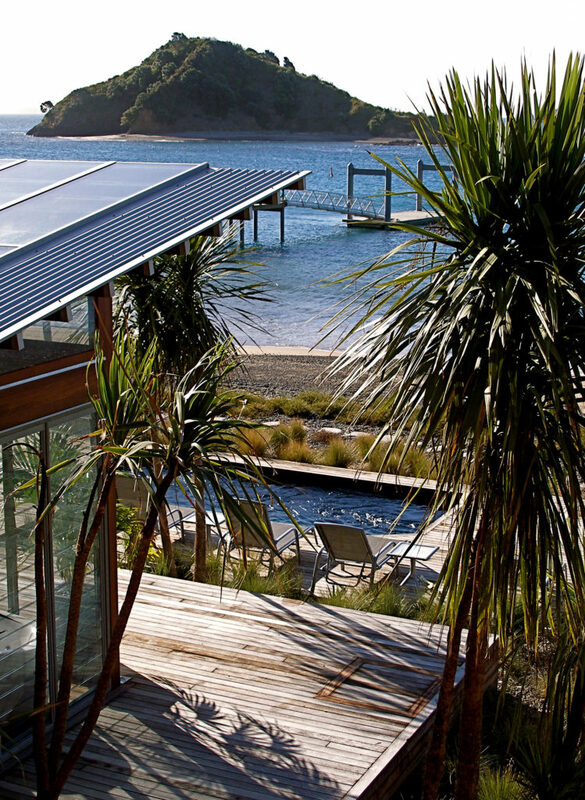 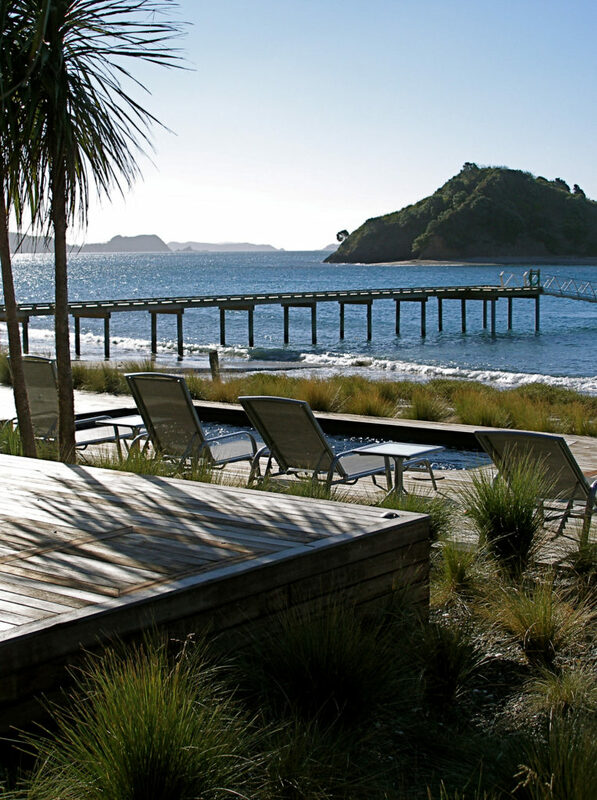 Step or Motukawaiti Island is the only privately owned island within the Cavalli group off the Northland coast. 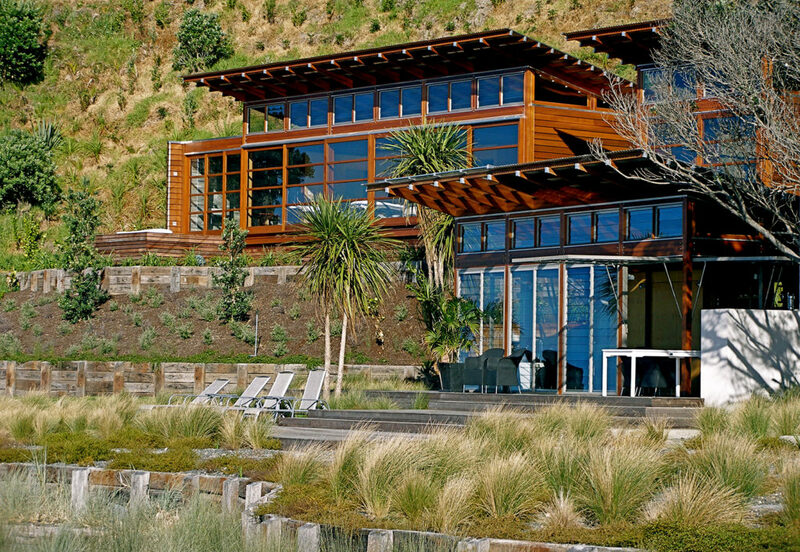 It has been developed into a private luxury retreat with the living pavilions and spa designed by Crosson Architects. 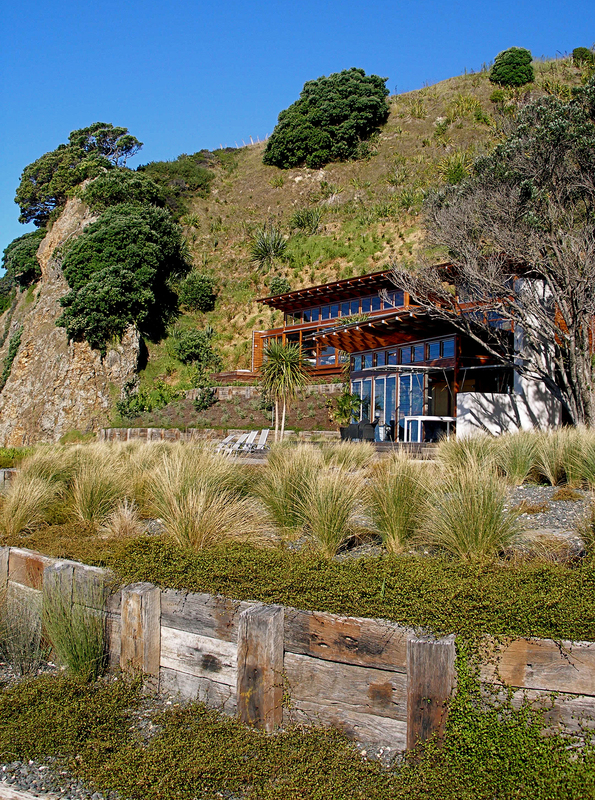 The hills behind the retreat were revegetated with native trees and shrubs to provide a bush backdrop and eventually kiwi habitat. 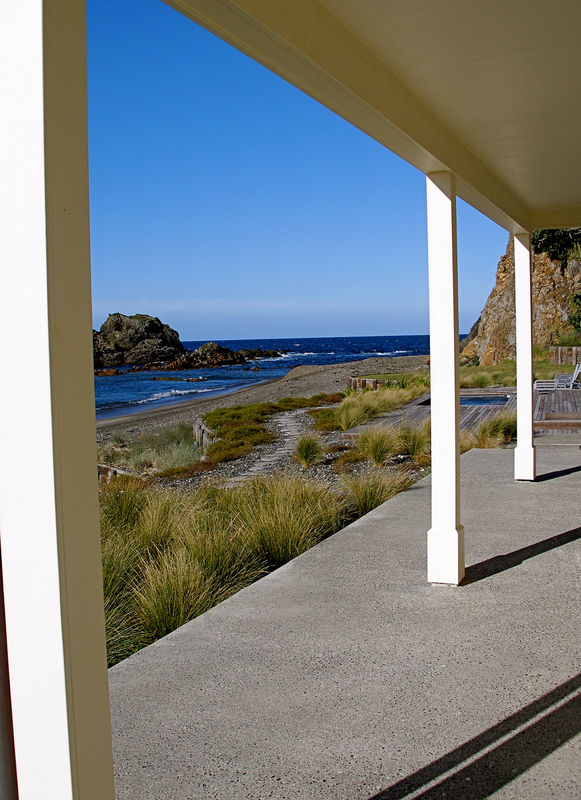 The area around the pavilions, spa, 1900’s Cottage, and swimming pool were landscaped with the harsh coastal exposure in mind. 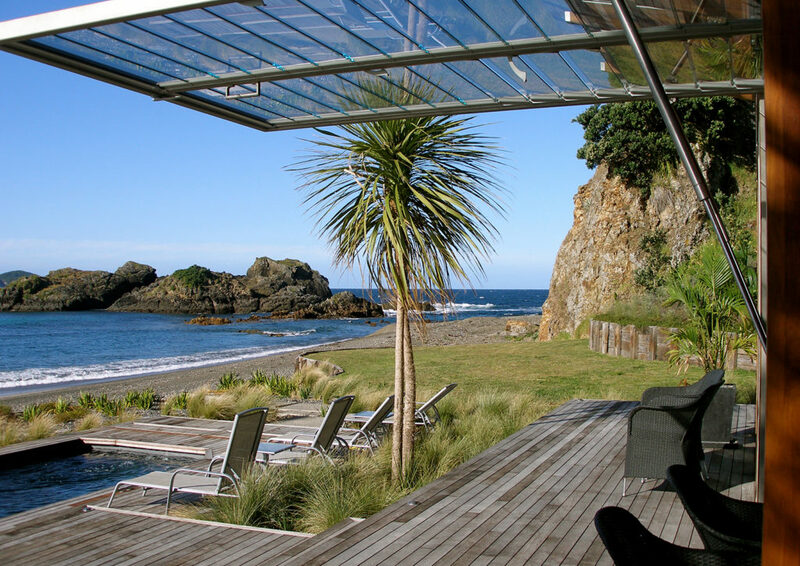 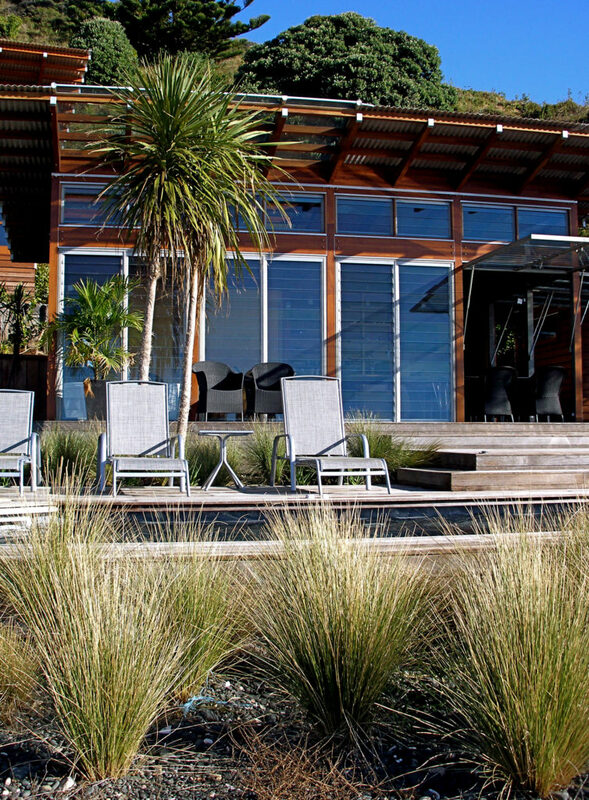 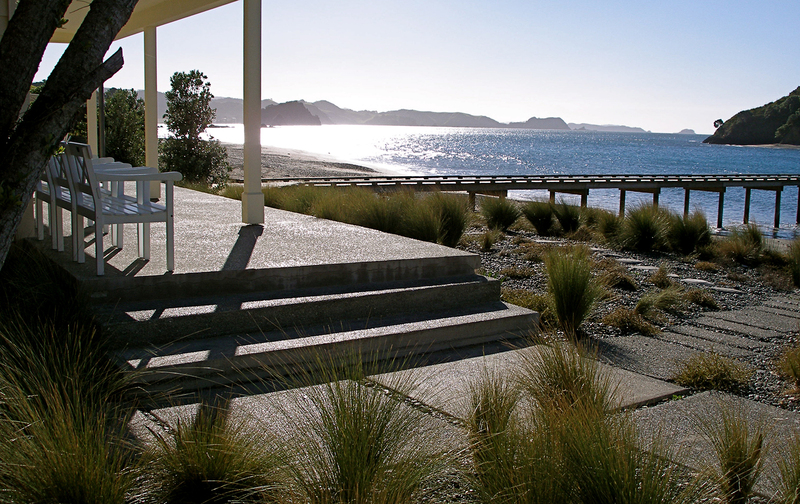 The close proximity to the surf resulted in the creation of a railway sleeper retaining wall to provide a terrace to locate the swimming pool, deck areas, lawn and landscaping. 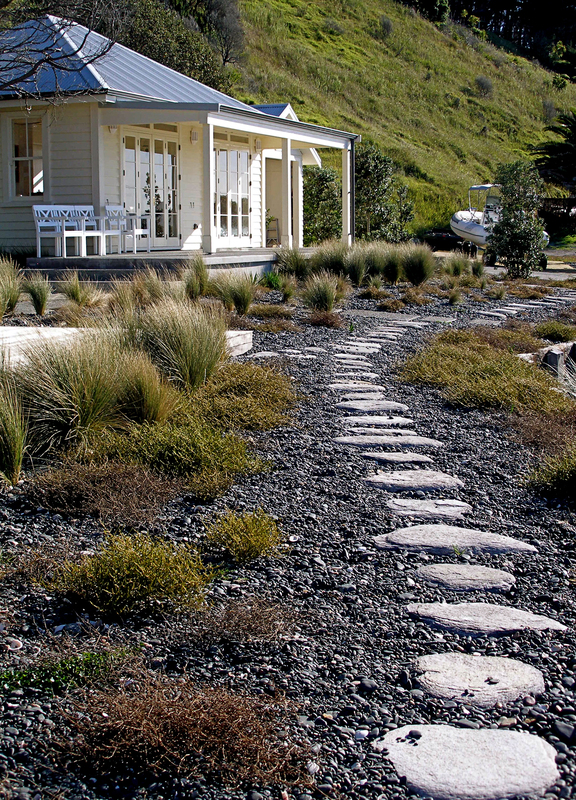 Due to the sea spray hardy native species such as Cordyline, Apodasmia, Carex, Muehlenbeckia, Phormium and Coprosma were used. The Muehlenbeckia has been used around the retaining wall to soften its built form and around the steps leading to the beach to re-create a natural beach side atmosphere, where guest can sit around a fire pit on the beach in the evenings listening to the surf and watching the sunset.